Apples and Snakes is pleased to be a founding member of Free Word, an exciting new venue and resource centre for freedom of expression, literacy and literature organisations and writers. Housed at 60 Farringdon Road, Free Word includes a selection of meeting rooms, a flexible theatre space for up to 90 people and a function hall for up to 100 that are available for hire as well as a cafe serving cakes and refreshments throughout the day. A selection of hot desks complete with an internet enabled computer and telephone are also available for hire. If you are a writer, journalist or an individual or organisation working in literature, literacy or Freedom of Expression you can also apply to become an associate of Free Word, which provides additional benefits including discounted rates on all hire fees. Article 19, English PEN, The Arvon Foundation, The Literary Consultancy and The Reading Agency. 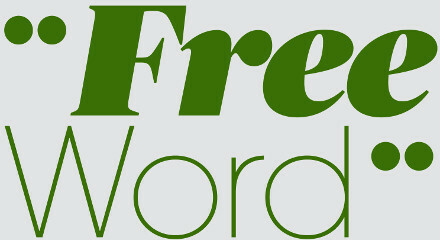 For more information on Free Word Please check out their website.